This entry is part 6 of 23 in the series Portugal & Andalusia 2012. Lisbon, Portugal is heaven for photographers, with photo inspiration in every hand-painted tile and misty alleyway. From the dramatic architecture of the Belem to the bustling crowds in the Chiado, our entire group had their cameras clicking furiously. 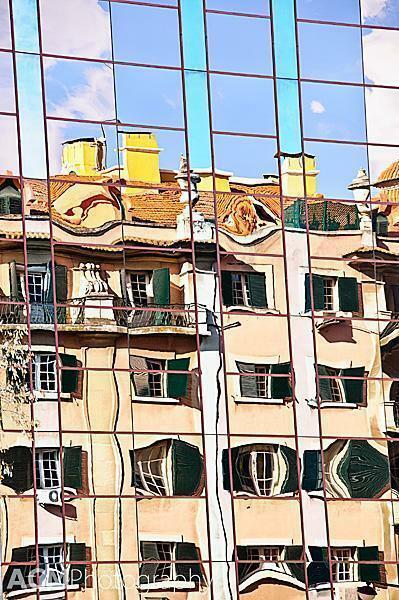 In actual fact we should have titled this post Lisbon, Portugal – Our 10 Favourite Photos You haven’t Already Seen on CheeseWeb. 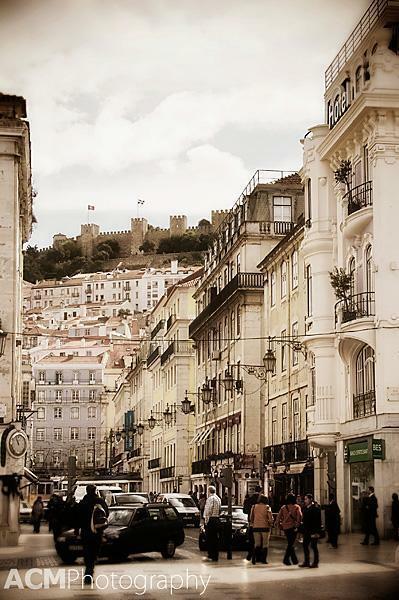 (Check out the rest of our photo-heavy posts about Lisbon, if you haven’t already.) These are the photos we loved, that didn’t fit with any of the posts we wrote about this magical city. We hope you enjoy them. 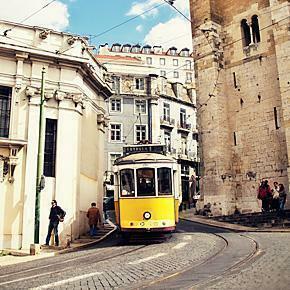 The bustling streets of the Baixa, or lower town, are a wonderful place to explore, shop or people watch at a sidewalk cafe. On certain streets, such as the one above, you have a great view of the Castle of São Jorge on the hilltop above. 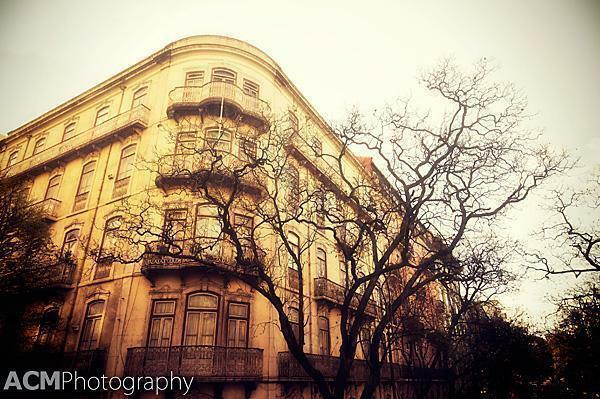 The Baixa is home to some dramatic architecture. The Rossio train station, once known as the central station, connected Lisbon with beautiful Sintra (which we’ll be writing about soon). The Romantic facade was designed in the late 1800s and the cast iron interior structure was made by a Belgian firm. 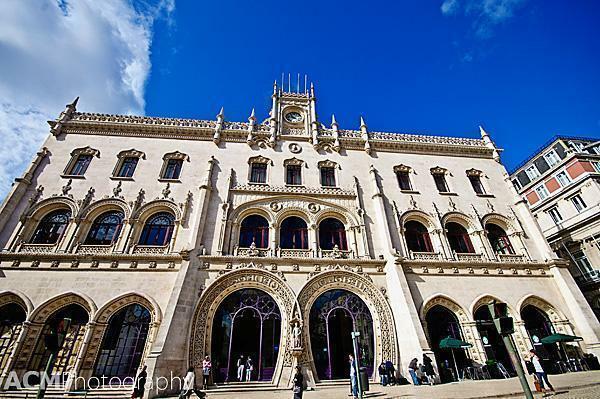 In dramatic contrast to Rossio Station is the modern transportation hub known as Orient Station. It was finished just in time for the Expo ’98 World’s Fair and with 75 million passengers per year it is one of the world’s largest. The multitude of hills in Lisbon have resulted in some interesting ways to get around. 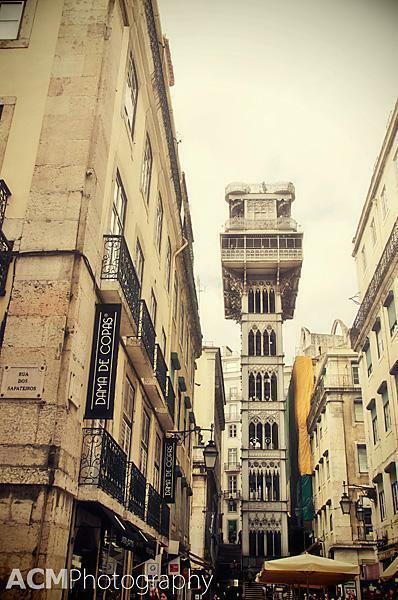 This beautiful elevator is the Santa Justa Lift, or Elevador de Santa Justa, it connects the lower town, Baixa, with the upper Carmo Square. From the lookout platform on the top floor, visitors have an incredible view of the city spread out before them. 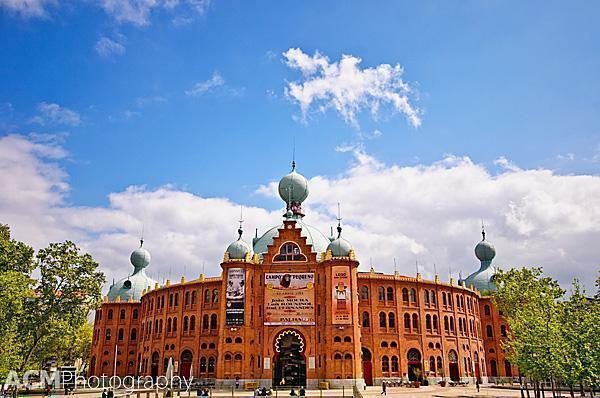 The Campo Pequeno Bullring was built in the late 1800s but completely refitted in 2006 to host all different events, from concerts to theatre and yes, the occasional bull fight too. Unlike in Spain, Portuguese bullfights don’t end with the death of the bull. The bright red bricks are a striking contrast to the green of the surrounding park and the beautiful blue skies. 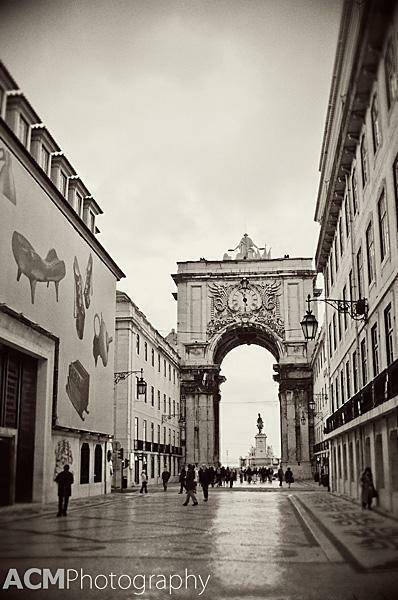 The Rua Augusta Arch was built to commemorate the reconstruction of Lisbon after the earthquake of 1755. The arch opens onto Commerce Square, and the clock you can see here is actually on the back of the arch. The front contains multiple sculptures, the largest of which is a 7m figure of the allegory of Glory. 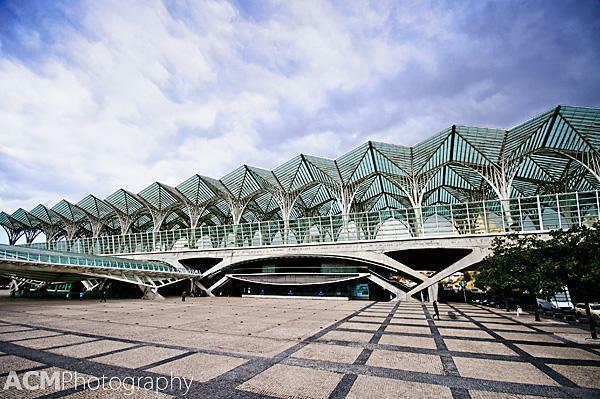 I love architectural photography and even the ‘every day’ buildings in Lisbon were inspiring. Wouldn’t want to own one of these beautiful balconies? I love the contrast between modern and traditional so when I spotted this reflection, I had to photograph it. These brightly painted Art Deco buildings caught my eye. They’re quite a dramatic difference from the monotonous grey of Brussels. 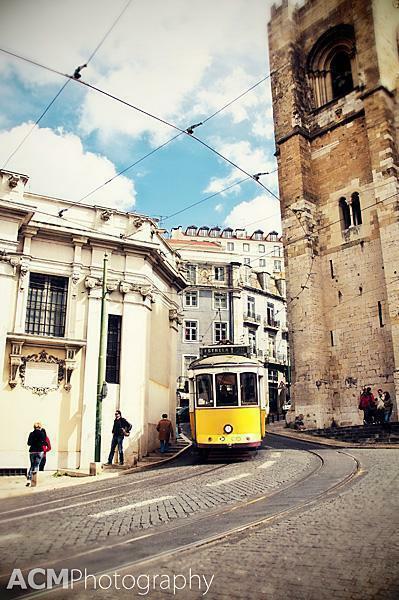 The tram network in Lisbon has been in operation since 1873 and looks much the same as it did back then. These days, the trams are primarily used by tourists and everywhere you look, travellers are stopping to photograph these iconic vehicles. We loved exploring Lisbon with our cameras and can’t wait to go back and uncover some more beautiful scenes. 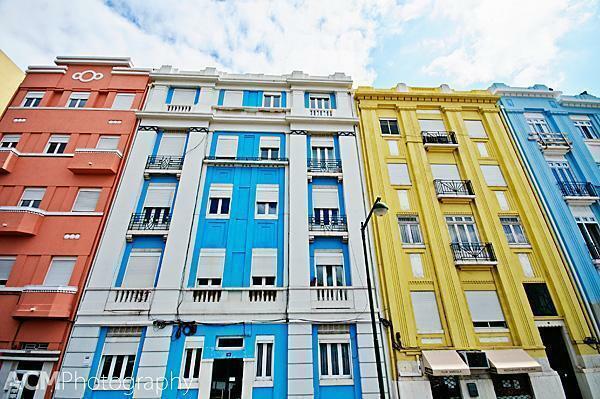 Have you been to Lisbon, Portugal? What were your favourite places to photograph? Leave your comments below.